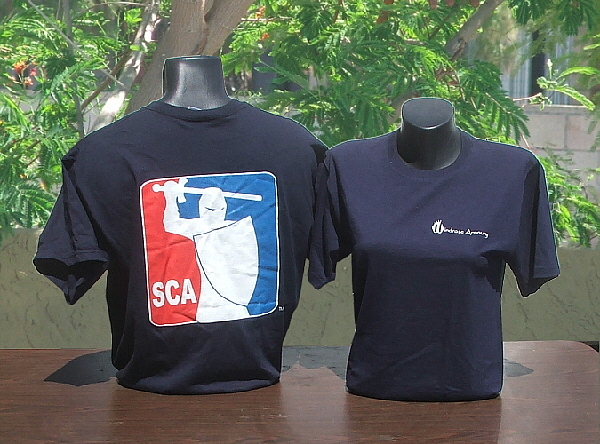 SCA All American Sports T-Shirt (Small) [4200ts08s] - $20.99 : Windrose Armoury, We Bring History To Life! Back from Windrose Armoury, a design for our sport inspired by the popular icons of the major sports. Design is printed on the front of the navy blue shirt. Redesigned so the ink isn't as thick and the print allows the blue of the shirt to show through. Note: Color on current design not the same as pictured. Print is now on the front with red, white and the navy blue of the shirt showing through. The Windrose Armoury name/logo is no longer on the shirt.